The book is the letters of Lt Lachlan Gordon-Duff, 1st Battalion Gordon Highlanders. He joined the regiment at the age of nineteen on October 1, 1899 and sailed for South Africa barely four weeks later. 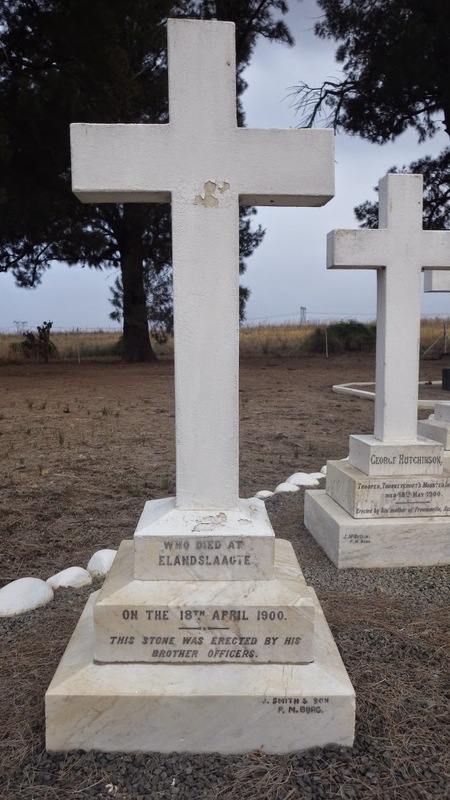 He was not to return until 1902 having fought at Paardeberg, Waterval Drift, Doornkop and Belfast. Gordon-Duff was a well educated man from an aristocratic Scottish family which is reflected in his letters to his sister and father. He writes very well and gives a full and interesting account of war; marching, fighting, hunger, boredom of blockhouse duty, coping with 'veldt sores', picnics with nurses and learning to play polo. In fact his only spell out of the front line was through concussion suffered playing polo. Intermingled are letters from his sister and father telling of life at home, mostly social commentary. The whole book is hugely interesting, many officers are named and commented on; Baden-Powell "the great advertisement". However, the most astonishing fact is that the letters are edited by his son, also called Lachlan and himself a Gordon Highlander. The commentary is brief and the editor sticks to what he knows best, family members and events. The book finishes with a tragic twist that adds a poignant dimension to the publication, Lachlan senior was killed in France in October 1914, just three weeks before Lachlan junior was born. These letters are all he knows about his father. The Second Anglo-Boer War was at the end of the Victorian era - Queen Victoria died in January 1901 while the war raged on, but militarily the war is lynch-pin, a bridge between "old" and "new" warfare. The military lessons of the war spawned the British Expeditionary Force of 1914, that "contemptible little army" whose skill at arms fooled the Germans into thinking they faced machine guns when it was simply rapid rifle fire. This link is also reflected in the amount of campaign medals one sees associated with the Queen's South Africa medal (QSA). You can read more about the QSA and King's South Africa medal here. The QSA can be found with an astonishing 242 other medals: orders, decorations, campaign medals, civilian and foreign awards. This number will increase as I add more information to The Register. The earliest campaign is the Indian Mutiny (1857-1858), Field Marshal Lord Roberts is one man to hold the Mutiny medal and the QSA. Every campaign medal up to 1945 is represented, except: Hunza Nagar Badge 1891 and from WWII: Atlantic Star, Pacific Star and Burma Star. I did know of a group with a QSA and Pacific Star to a man from a South African colonial regiment who died a POW in Hong Kong (should have bought it). The next task is to identify the clasps on the campaign medals paired with the QSA. I have been doing some work on the Chin Hills 1892-93 clasp on the India General Service Medal 1854-1895. The Norfolk Regiment were the only British Army troops present, and only 200, so in itself it is a rare medal. Of those 200 only 67 served in the war the combination with a QSA even rarer. There are 44 men in the photograph which was obviously taken in England prior to the regiment's departure in November 1899. 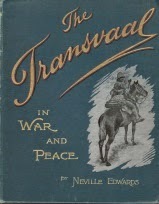 This splendid photograph is published in an excellent source for pictures, The Transvaal in War and Peace, Neville Edwards, Virtue 1900 (page 202). In researching the men to include in The Register, surprisingly only 23 men did serve in the war. The remainder either left the Army or remained in England. No initials are shown, so to ensure I identified the correct man it was necessary to use the service papers on FindmyPast. As FindmyPast have both Victorian and WW1 era service papers it is quicker than using Ancestry which just has WW1 era service papers. I found one man, Sgt-Major Brownlow left the Army in mid-September 1899, the closest date I could get to the regiment's departure. Therefore picture was taken in no later than early September 1899. Of the men who did serve I found some interesting pieces of information that all go into The Register to provide a fascinating archive. Not surprisingly most earned a Long Service and Good Conduct medal, some served in the Sudan at the battles of El Teb Tamaaai. Sgt 3076 JH Palmer (right) is shown in the official casualty rolls as being wounded 31 March 1900 at Irene. His service papers reveal that his was severely wounded at the important action of Sanna's Pos (or Koornspruit). Medals to casualties at this action command a high premium, this information would double the value of his medal. Sgt 2908 RB Cox volunteered at the age of 14 for the Norfolk Regiment from the Military Asylum, Norfolk. He transferred to the 10th Hussars, serving for 26 years reaching the rank of WOII. In 1916 he was commissioned into the Army Service Corps. To determine the correct "Sgt Ward" from the two who served in the war, I found a set of papers for each. 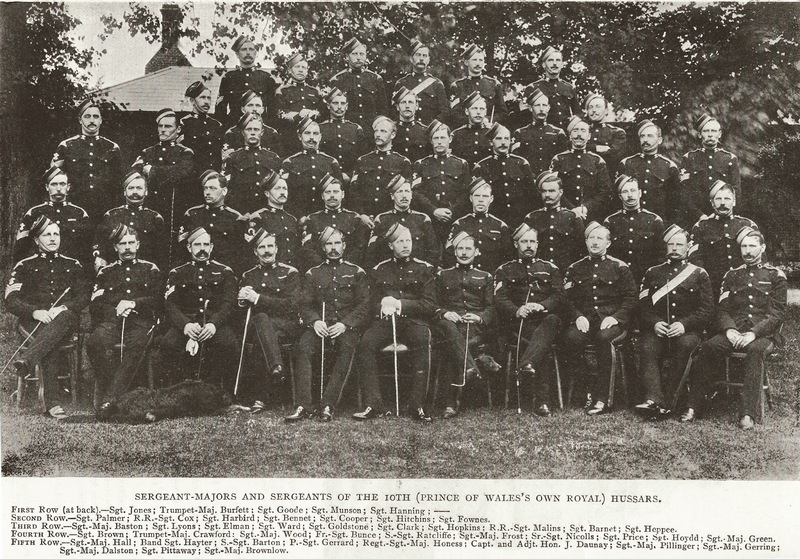 Sgt 3400 J Ward did not get promoted to the rank of Sergeant until 1902, so he would not have been included in this picture in 1899. After the war he attended the Delhi Durbar in 1911 and remained in India during WW1 so just earned a British War Medal instead of the usual Star and Victory medals. "Sgt Ward " is 2695 WG Ward who rose to the rank of Squadron Sergeant-Major by the end of the war. Sir John Gilmour, known as Jack Gilmour at the time of the Anglo-Boer War, was a subaltern in the Fife Light Horse. He volunteered at the first call for the Imperial Yeomanry in December 1899. The Fife Light Horse provided the 20th Company of the 6th Battalion Imperial Yeomanry (the Scottish Yeomanry). The 20th saw much action including the battle of Nooitgedacht (13, December 1900). These letters are well written providing not only a record of life on campaign but also an insight into the interests of a wealthy young man educated at Cambridge University; politics, fox hunting, the future of Yeomanry and conscription amongst others. 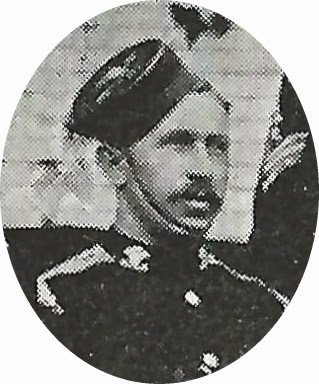 Gilmour was promoted to command the 20th and he also commanded the 14th Fife and Forfar Yeomanry in the Palestine Campaign during World War I. The letters have been unobtrusively edited by Patrick Mileham, an expert on the Yeomanry and author of the The Yeomanry Regiments. The text is supported by a number of clear photographs showing many named men of the 20th in various uniforms. Using the casualty database built for The Register the only candidate is Captain Samuel Lawrence, 2nd Scottish Rifles. A cross reference with the list of names known to be buried in the cemetery showed Cpt Lawrence to be the only officer without a marked grave. Samuel Lawrence was born in March 1870, and enlisted as a soldier in 1890. He served in the ranks for five years before being commissioned in February 1895 into the Scottish Rifles. Cpt Lawrence sailed for South Africa on the 1st March arriving at Durban on the 27th; he died just two weeks later from dysentery. From the 1891 census he may well be the 21 year old Private, born in Ireland, serving with the 6th Dragoons at the cavalry barracks in Brighton, East Sussex. The Commonwealth War Graves Commission (South Africa) have agreed to look into having the name repainted when they are next at the cemetery. This book sets out to defend General Sir Charles Warren's actions during the campaign in Natal to relieve Ladysmith. Warren was at the time roundly criticised for 'his failure' at the bloody battle of Spion Kop. Leading the criticism was Warren's commander Major-General Sir Redvers Buller, and it is Buller who receives most of the criticism in return. Deliberately there are no detailed accounts of the battles; Colenso, Spion Kop et al. The bulk of the text is formed of large chunks taken verbatim from the Royal Commission into the War in South Africa (1903), the 'Spioenkop (sic) Despatches' [Blue Book Cd9685] (importantly, pointing out omissions from the published despatches), Hansard, the works of war correspondents Bennett Burleigh and JB Atkins, and the surgeon Frederick Treves amongst others. Much of this makes interesting reading, though some parts are turgid and repetitive. Much of the case for Warren is simply that put forward by his supporter's after the war. Mr Coetzer's own analysis does not really go further. There is no questioning of Warren's dubious actions. Relying solely on the contemporary debate for and against Warren is highly dangerous. Each witness to the Commission had their own story to tell and their own motives for telling it. To say the least there was a fair amount of backbiting amongst the generals. The war correspondents had their own axes to grind against Buller. They felt his censorship too rigorous. An interesting book, on an critical aspect of the war that will bring to many first sight of important contemporary sources. However, I think this book will be seen more as a scenic 'look off' than a milestone along the route to a more rigorous analysis of this important period in British military history. When Pte Fessey sailed for south Africa in January 1900 he had already served seven years with the colours and spent some time as a police officer in Rugby. He had missed the regiment so much that he re-joined in 1898, and was to do again in 1914. This diary accurately reflects his character as a steady, reliable man who had seen action before and nothing in his subsequent service on the veldt would surprise him. Fessey's brief and factual style conveys well the tedium of the soldier's life in this campaign. The KOSB were part of Lord Roberts' army who marched from the Orange River to Pretoria and then into the eastern Transvaal. There are few events to lighten the marching, outpost duty and digging trenches which seemed to occupy most of his waking hours. He appears to be well informed on what other battles and actions had occurred, frequently giving numbers of casualties and naming the opposing Boer leaders. Fessey's role in the battalion was to fire the Maxim gun, a role he obviously enjoyed; his last entry reads, 'The amount of ammunition I used while I was with the Machine Gun - 8,235 rounds". During the battle of Karree Siding (29-03-1900) the gun section was ordered forward to help suppress strong Boer fire holding up the advance. This they did successfully from an exposed position, the Boers eventually being driven off the ridge. For this battle the Regiment won a number of awards and Fessey was one of 10 awarded the Distinguished Conduct Medal (London Gazette 29-09-1901). When the opportunity arose in August 1900 for a spot of relaxation in Pretoria, he looked forward to a good dinner and a drink. Dinner cost him 9 shillings which he resolved not to pay again and the bars were only open to officers. Acting with initiative he acquired the uniform of a captain in "Robert's Light Horse" to enjoy a few whiskies and sodas and even a game of cards with 'fellow' officers. Not forgetting his mates he bought them a bottle of rum. Fessey's honest account is unfettered by editorial comment, sensibly illustrated and complemented by an excellent modern map and an index. This is an interesting story of a soldier unencumbered by the jingoism that affected so many. November 2015 - I have finally finished this book, 12 months after I bought it and a long rest. As I remarked the tone is forthright, rather like being assailed by the friendly drunk in the pub. Suitably restored I dived back in and on completing the book I would recommend it to everyone interested in the war. You may not agree with Ash's conclusions and will questions some of his facts, but as a piece of critical writing this is a good example. Not enough medal collectors and researchers seem to display any critical faculties. Too much information whether from a book (contemporary or modern) or the internet is received without question. My research to build The Gazetteer has shown all sources to have errors and many to be superficial in facts and conclusions; all can be improved. Ash demonstrates, rightly or wrongly, what the other side of the coin looks like and what lies beneath when you scratch the surface. Read this, be sceptical, be critical, research harder, learn more. My current read which I bought on my trip to the International History Conference: From the Anglo-Boer War to the Great War at Talana Museum last October. Written by Chris Ash (527 pages, 30O South Publishers, South Africa 2014) this book with its natty alliterative title aims to challenges the reader's understanding of the causes, conduct and subsequent interpretation of the war - the Second Anglo-Boer War that is. In the very first footnote Ash rubbishes the need to assign proper titles to events because "Boer War" is "the established name". Established it may be, but it is inaccurate and misleading - the Boers fought many wars - as Ash is keen to point out later, so which "Boer War" do we refer to; if you ask a Swazi, a Zulu, a Sotho, a Tswana and an Englishman you may get five different answers, all of them correct. A Boer of course will respond "Watter eeen - Eerste Vryheidsoorlog of Tweede Vryheidsoorlog?" Page one and Ash has succeeded in making me shout at what I am reading. However, his argument that Kruger's Transvaal Republic was keen on expansion (thru "Boer wars", eh? ), reactionary and Kruger himself misread the political situation does have merit. The fact the Boers delivered the ultimatum and then invaded British territory, with a well armed force are inescapable facts. On the war itself Ash points out the failures in Boer military planning and execution - personality clashes and naivety hampered their efforts. I've yet to finish reading this book, but so far Ash's arguments are interesting although his forthright style turns the tone of the book into a rant. One can't fault his enthusiasm for his own argument. 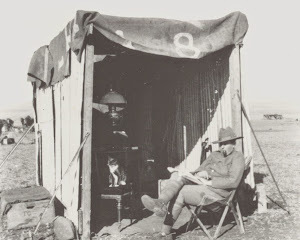 This blog is connected to my website The Register of the Anglo Boer War 1899-1902 (aka www.casus-belli.co.uk). I have been researching the Second Anglo-Boer War 1899-1902 since 1984, when I was a student studying African History at the University of Sussex. Although, my first brush with warfare in southern Africa was, like so many others, with Washing of the Spears and those films! I will use this blog to elaborate on anything I find of interest in my researches into the men, women, medals, memorials, ephemera and anything else I think is relevant. The Register of the Anglo Boer War 1899-1902 is a register of those who fought for the British Empire. It will become a complete (as complete as lists of people ever get) list of everyone who fought against the Boers. There is information in The Register for family historians, medal collectors and researchers. I hope you will enjoy and find this blog interesting.